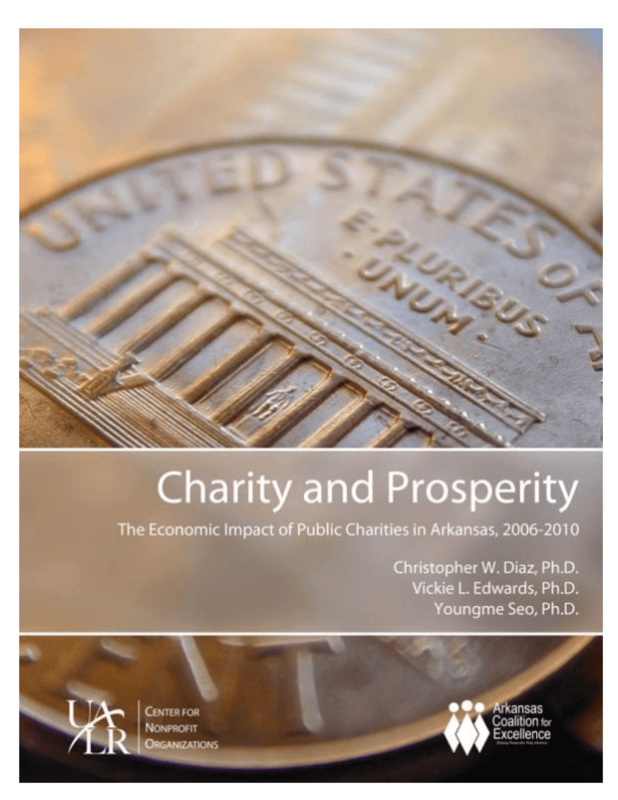 In 2010, public charities in Arkansas had a total economic impact of $13,505,145,972. Arkansas nonprofit organizations employed an estimated 93,095 individuals in 2010, representing nearly 7 percent (6.8%) of the state's available labor force. In addition to these impressive numbers, public charities in the state provide a host of services to Arkansans -- from educational opportunities to health care to housing, shelter, and food. Nonprofit organizations are legal entities formed to provide services and programs. These organizations typically engage in activities without financial profit, although these organizations may retain excess revenue. Nonprofit revenue in excess of cost are untaxed and may be saved for future use. This report describes the Arkansas nonprofit sector in terms of its activities, composition, employment levels, and employee earnings. Upon providing a portrait of nonprofit organizations, the report offers an assessment of the nonprofit sector's economic effect on the state economy. Copyright 2013 Arkansas Coalition for Excellence, Center for Nonprofit Organizations.